How to keep your online transaction secure using Credit or debit card. Sharing is Caring But Not Your OTP! The more we share, the more we have-Easier said than done! Sharing always gives you satisfaction but sharing passwords, OTPs, card number while doing the online transaction and other personal details are dangerous. Be it your best friend or be it your cousin, never trust anyone when it comes to sharing passwords or bank OTP. Do not be a victim of frauds and tempting offers. Being privileged customers of a smart bank, we need to act smart and not be succumbed to fraudsters. I am really lucky to be a customer of State Bank of India, a 211-year-old organization, who has been re-inventing itself continuously to meet all its customer’s needs. The Bank has been always updated itself with digital technology to ease customers and these products have helped many customers. 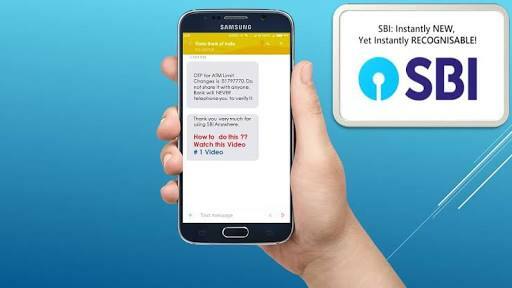 That’s why SBI has got a position to the patronage extended by their customers and markets. This year SBI has come up with #SBIComputerSecurityDay, explaining the risk factors related to the online transaction. In today’s digital business environment, all the needs of customers are met through technology products. SBI in this context provides “Awareness” on safe usage of the IT products rolled out by them. SBI’s topmost priority is the safety of the customer. In this direction, I would like to share certain tips on how to safely use online transaction on all channels. So let me take you through some of the tips to avoid being conned. Take care of your ATM PIN; do not share it with anyone; make it a habit to change your password at regular intervals; never write your ATM PIN at any place. Always keep the PIN a little complex and not as 1111, 0000, 1010 as guessable ones. Never keep your password as your birth date. Never give your card to a waiter at restaurants, or salon or spa. Go yourself to the Payment Counter and get the card swiped in your presence. While doing online transactions, be sure of the Security of the Internet Connection. To the extent possible, never use Public Wi-Fi or other free Wi-Fi. Do not get tempted by free offers and swipe/part with your card data. Do not share your personal information, the vital information given by you as answers for “Security Questions” for resetting of passwords. You can also use ON/OFF facility provided for managing Debit Card’s international usage. Voice phishing is a criminal practice of using social engineering over the telephone system to gain access to our passwords and private information -this word gains a combination forming VISHING. Most important thing is to be aware that the Bank never calls you asking for any sensitive data or password. Fraudsters may either entice you or threaten you and ask for sensitive information. Always be cautious about your financial transactions. Always keep your User ID and Password confidential; never share your password with anyone; Make a STRONG PASSWORD – unfortunately, everyone makes a password which is most relatable and easy to remember. Most mothers keep their kids name or date of birth, which is also easy for the hackers to crack; You must Change the Password periodically; Keep your login and profile passwords always distinct from each other; Never use INB using the insecure internet, like a cyber cafe or any free Wi-Fi in coffee shops, airports etc. ; Try to execute all your financial online transaction through secure channels only. Don’t miss to register your mobile number in the Bank accounts for SMS alerts. Do not keep more than required limits for beneficiaries for money transfer. Never share OTP/CVV and Password with anyone. Never keep the same password for all accounts. Make sure you Logout properly and immediately on completion of your session/task especially at others network or public Wi-Fi. Check your statements and transaction history regularly. If you find something fishy, connect immediately to your bank manager and stop the transaction for while. Like how we take care of our life during driving. In the same manner, while using Computers and Information Technology, SAFE USAGE OF I.T. should become an integral part of life. In this way, we would be able to protect ourselves and not be vulnerable. Thanks for writing this very useful post. I will make sure my mom reads it as well. It is so important for us to keep a check on passwords and pins these days when cyber crimes are at their peak. With the cyber crime increasing that tips are a saviour. Thanks for this super helpful post. OTP and CVV scamming is becoming very popular these days and one definitely has to be very careful. Really very informative post. Thanks for sharing. Such an informative and a much-needed post thanks for sharing! very informative post! it is important that we all say vigilant and take all the necessary steps to be careful! The awareness regarding OTP is very important. People need to understand this more. Well written and informative post. Great tips for credit /debit card users and also for those who do online transactions. 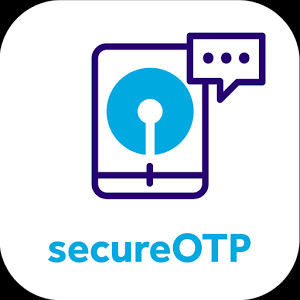 SBI online app is very secure to use… Your tips are awesome.. We should be aware of everything while using debit or credit card..